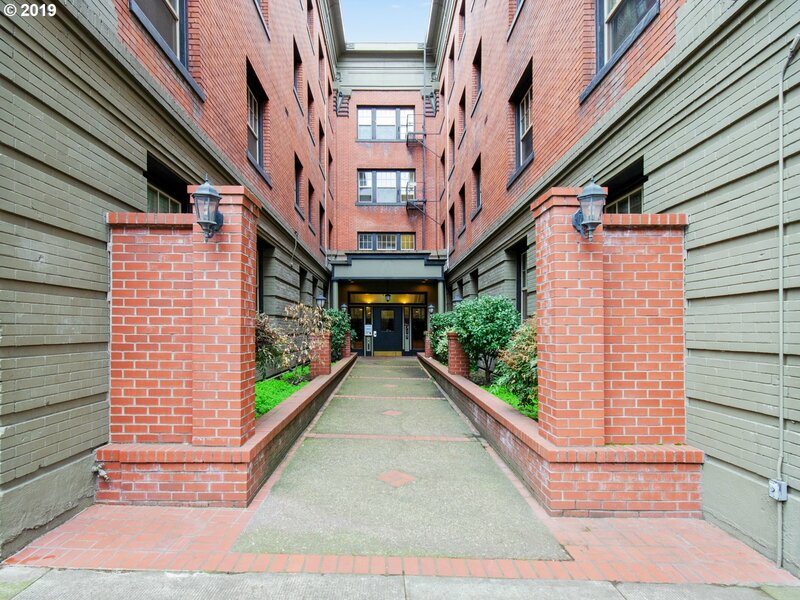 All IRVING STREET TOWERS homes currently listed for sale in Portland as of 04/23/2019 are shown below. You can change the search criteria at any time by pressing the 'Change Search' button below. "Gorgeous 2BR condo in the heart of the Alphabet District! This is one of the largest units in the building! Exposed brick wall. 2 bedrooms and 1 full bath. Built-in beds. In-unit laundry (rare for this building). Private storage and bike room downstairs. Lots of light too. Minimal stairs to this main floor unit. Historic tax abatement until 2020. Walk to everything NW has to offer! HURRY, MUST SEE!" "Historic Living with Modern Amenities! Remodeled bathroom, Updated kitchen with SS Appliances & Gas Range. Exposed Brick, hardwood floors, fire escape, built in trundle bed, fresh paint, walk score 98, Bike score 94. Deeded storage unit & Bike parking in basement. Card operated laundry on site. Tax Abatement until 6/3/2020 with possible renewal. No rental cap!" "Ground floor condo in historic Irving Street Towers. Original features include fir floors throughout, built-ins and trundle bed that tucks away to create even more space! In 2006, units were updated: kitchen with tile, counters, backsplash, SS appliances & gas range. Spacious bath with tub, new vanity & tile floor. Epic central NW location so you can enjoy the robust bounty of shops, eateries parks and conveniences of NW 21st and 23rd."